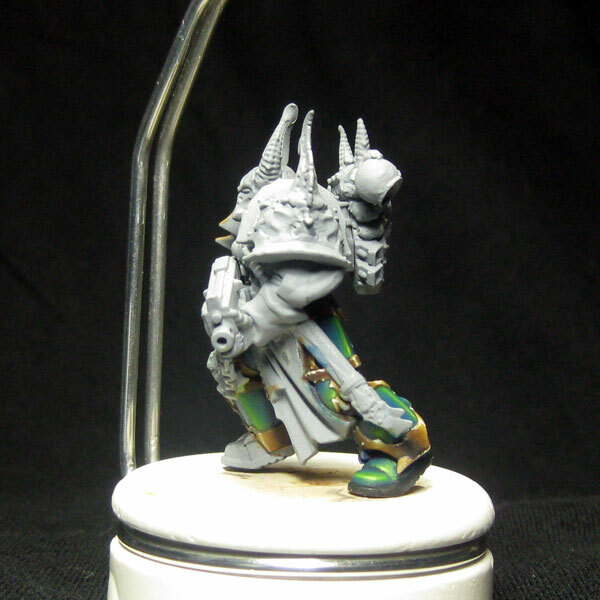 I’ve not been sat idle… I have done a lot more on Ulric the defiler – in fact, he is rapidly heading towards completion. One thing I am really beginning to wonder though is whether the base is too big for him… its 50mm square and obviously its rather tall. Part of me likes the way the base completely frames the model, but another side of me is screaming “tooooo biiiiiig!”. What do you guys think? I have a few other bits on the painting table at the moment, a conversion/sculpting challenge for myself (hopefully for next year’s GDUK), but I have yet to take decent photos of those… I did, however, get some decent photos of the charity miniature I painted for the Frothers Charity event, and some more pics of the Avelonian Recruit which I initially took to Crystal Brush earlier this year, but made some modifications to and re-entered at Euro Militaire at the end of September. The exciting bit about this is that I managed to exceed my previous Euro Militaire medal haul (3 commended entries) by pulling a bronze and two commendeds this year! 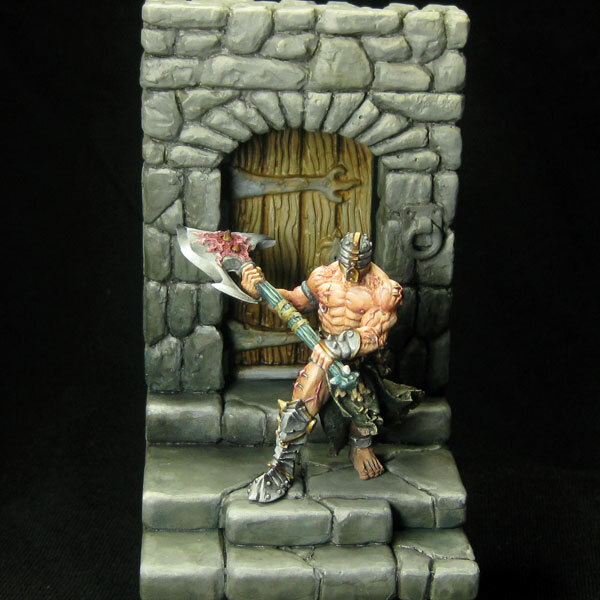 The commended entries were the Gladiatorc bust in the converted/scratchbuilt category and the Frothers barbarian (above). The Bronze was with my pride and joy – the re-touched Avelonian bust! Huzzah!